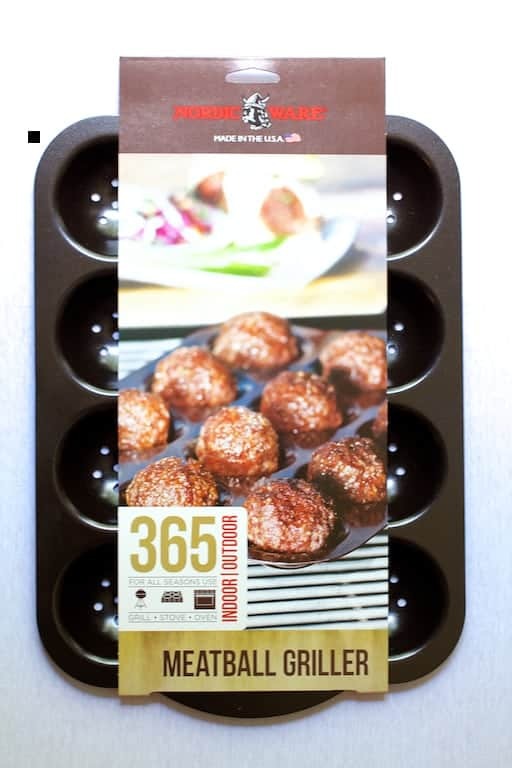 Many thanks to Nordic Ware for the complimentary 365 Indoor / Outdoor Meatball Griller. Included here is information about the product. All opinions are mine alone. 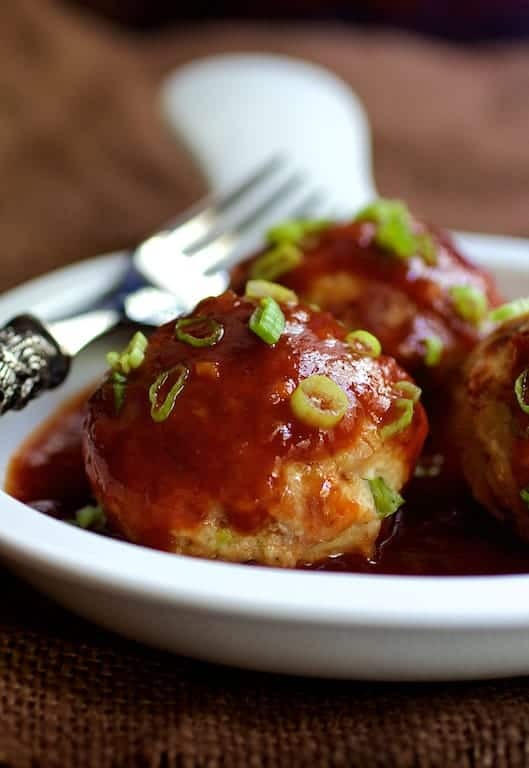 These Asian Barbecue Chicken Meatballs were super-fun to work on and may have created a grilling monster. Not only did I try a fun grilling accessory from Nordic Ware, but this girl finally used hubby’s big-boy grill all by herself. If you recall from a previous post, I was neutral about using our outdoor grill. 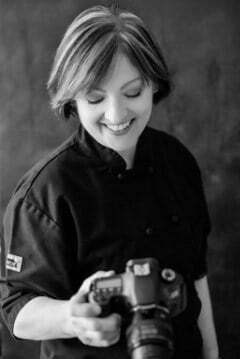 The outdoor grill is my hubby’s domain and he does an awesome job of it so why go there? (Which, when you’ve been married for 20+ years, leaving your guy his “space” is never a bad thing.) 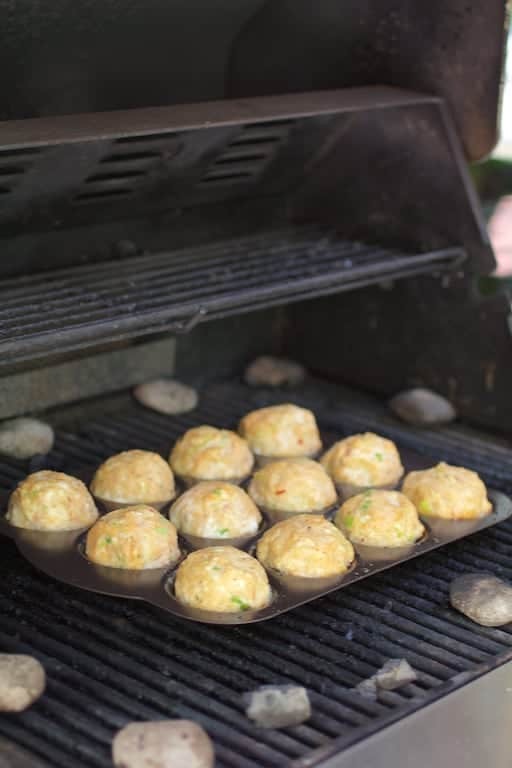 Until this posting, when I needed to grill something for my column, I used a grill pan or the grill insert for our gas cooktop which has always worked well. 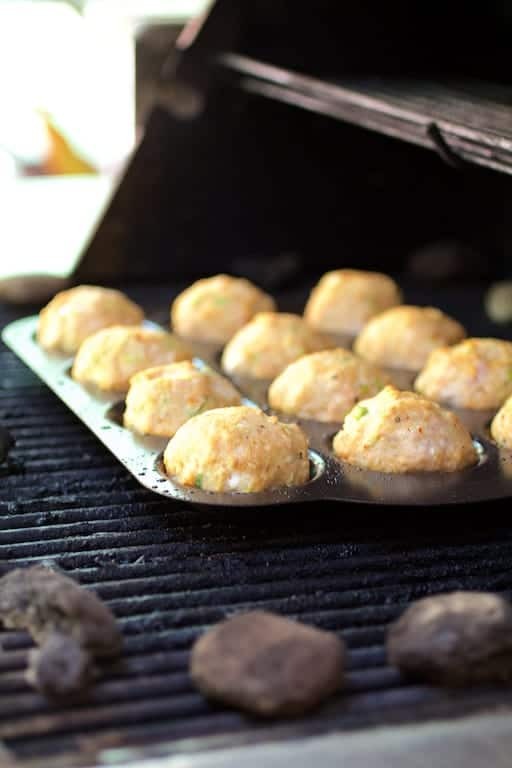 I could have done these meatballs in the oven with this cool meatball griller. However, I use plenty of other cooking equipment including commercial equipment on a daily basis, so why not the big-boy outdoor grill? After a less-than-successful grill-lighting tutorial from my husband, my confidence about this new experience was slightly shaken. Our grill is a well-loved 12-year-old gas grill so lighting it can be tricky. When the time came to light the grill for this meatball grilling endeavor, I lit it like a champ. Woohoo….grill power! Wells deep enough to hold 12 jumbo-sized meatballs. The wells can hold other things besides meatballs such as stuffed mushrooms, stuffed tomatoes and stuffed peppers. 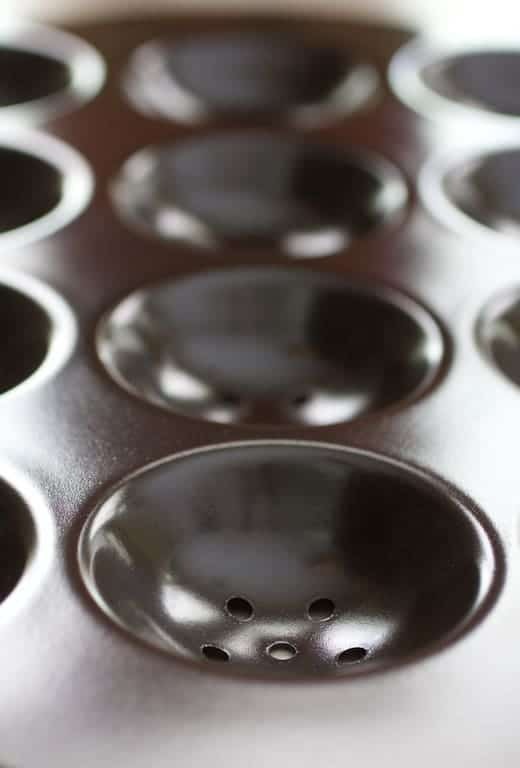 A nonstick surface for quick release and easy clean-up. Nordic Ware is an internationally distributed brand of cookware, bakeware, grillware, microwave cookware, kitchen gadgets and accessories. They’re headquartered in Minneapolis, Minnesota and manufacture the majority of their products in the United States. Yay! Great for America and American workers! They’ve been a part of family meals and celebrations since 1946. Happy 70th birthday to Nordic Ware! 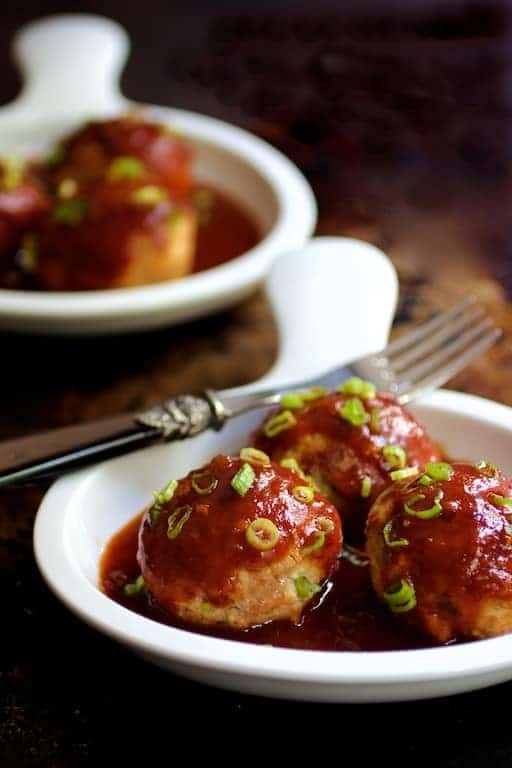 Onto these crazy good Asian Barbecue Chicken Meatballs, which of course, can also be made with turkey, pork or beef. I generally use a large 1 1/2-inch cookie scoop to form meatballs. I place some of the meatball combination on the palm of my left hand, portion it with the cookie scoop with my right hand onto a baking sheet. After portioning the meat mixture, I roll into neat balls with my hands. Here I just eye-balled the meatballs into 12 even portions. I’m digging jumbo meatballs as they’re less work! I probably didn’t need to, however, I brushed the meatball griller with vegetable oil before placing the meatballs inside. They released very easily. This sauce is easy to pull together while the meatballs cook. I like to keep a good inventory of Asian staples and pantry items such as soy sauce, hoisin sauce, unseasoned rice vinegar, oyster sauce, chili garlic sauce and fresh ginger. Keeping items such as these on hand allows you to pull together an Asian-inspired meal like this in no time! Change up your grilling routine and your meatball routine with these Asian-inspired meatballs.